hydraulic power packs and tools. 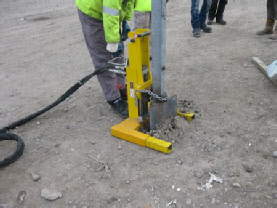 With over 10 tonnes of extraction force this powerful specialist hydraulic tool is designed to safely, easily and quickly extract damaged barrier fence posts. No longer a need to use cranes to pull posts!! 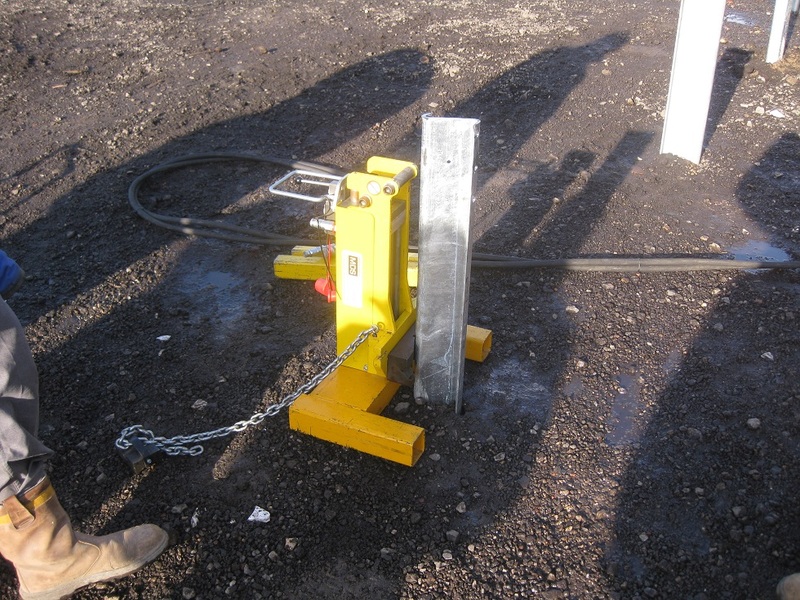 It is manoeuvrable and portable, ideal for removing accident damaged barrier fence posts and can be powered from hydraulic power units, excavators and lorry cranes. 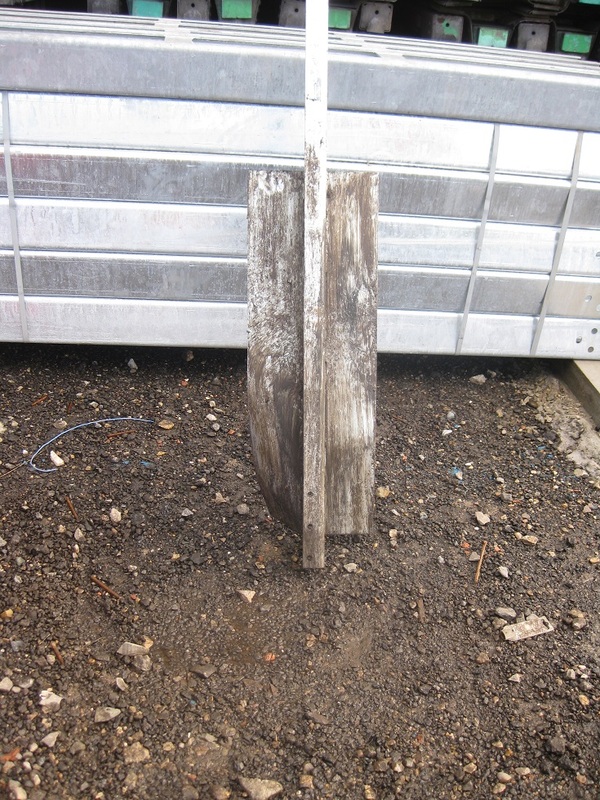 It can also be used to pull out other posts such as perimeter fence posts. We can modify the base and clamping mechanism to match any particular requirement. Hire over the phone on 01604 767 600 / 07831 567 765 or through our E-bay shop. We can arrange delivery and collections of hire equipment, please just ask for further information. That's ok, any enquiries can be sent via our contact form or via email to: info@majordiamondsupplies.co.uk we aim to get back to you asap. © 2012 Major Diamond Supplies Ltd, INC. ALL RIGHTS RESERVED.